Lifebox receives $500,000 GE Foundation grant for ground-breaking Surgical Infection Prevention Initiative. Today we are thrilled to announce our next target in the fight to make every operating room a safer space for patients and healthcare providers: surgical infection. Postoperative infections are a major threat to surgical patients. They’re a particularly critical issue in low resource settings, where rates are double those reported in high-income countries. Patients suffer, families grieve, and hospital systems are strained beyond capacity. But to date, there has been no best practice strategy for addressing this crisis. Thanks to generous support fromGE Foundation, this is set to change. Over the next 18 months, Lifebox will establish a technical workstream aimed at reducing the incidence of surgical infection through simple and scalable interventions. Led by Thomas Weiser, Lifebox trustee and surgeon at Stanford Health Care, we’ll develop a set of standards that address the most fundamental and life-saving aspects of safe, clean surgery. From skin decontamination to sterile practice, instrument sterilization to antibiotics, we’ll be working with local champions to develop a programme that begins in one hospital and expands to support safer practice across whole country systems. We’re delighted to be working with GE Foundation, an organisation committed to improving surgery in low-resource settings. Earlier this year both GE Foundation and Lifebox participated in the launch of a major new Commission on safe global surgery published in The Lancet. 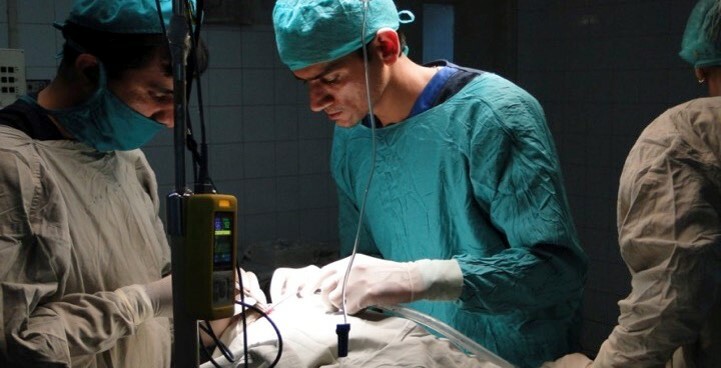 “Safe Surgery has long been a neglected area of global health, and universal access to an essential set of surgical procedures would prevent 1.5 million deaths around the world every year,” said Dr. David Barash, Executive Director, Global Health Portfolio, and Chief Medical Officer, GE Foundation.